Linda Blair and her best friend. 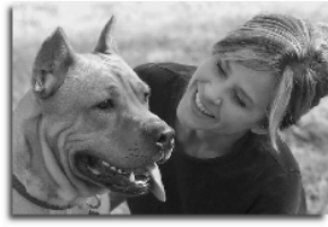 Actress Linda Blair has been active in her work with animal charities for many years. She founded her own animal welfare orgainzation some years ago - the Linda Blair Worldheart Foundation.. Wallpaper and background images in the Against Animal Cruelty! club tagged: linda blair worldheart foundation actress animal rights animal cruelty animal protection animal welfare photos. This Against Animal Cruelty! photo might contain american staffordshire terrier, staffordshire terrier, american pit bull terrier, pit bull terrier, staffordshire bullterrier, and staffordshire bull terrier. It is nice to see happy, care-for, problem-free animals on this spot. Thanx for posting, Cammie! Yes, it is great to see that there are caring people looking after and loving our creatures.